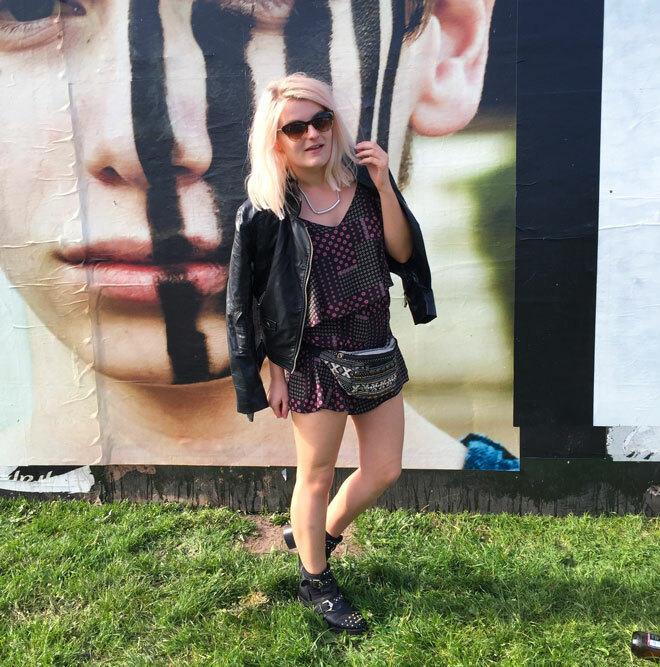 We were lucky enough to grab Saturday tickets for Big Weekend in Norwich this year. (Thanks to Matt for hitting refresh a zillion times). I've been excited for weeks. 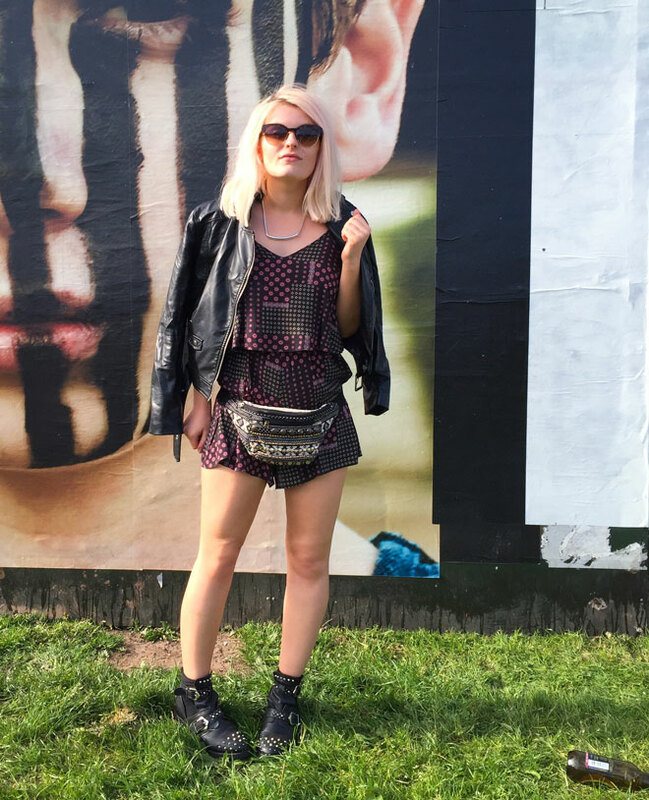 I've not been to a festival since I was about 18... #oldfeels. 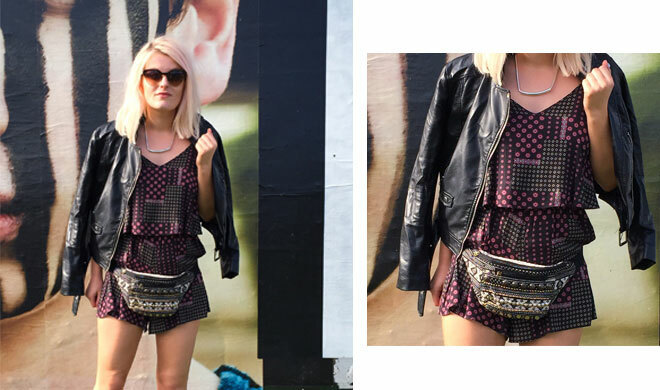 I was mega indecisive about what to wear... so panic bought a playsuit and bumbag on Friday in Primark after hearing the sun was meant to be making an appearance. When Friday came round we started the day off in the best way. Large Spoons breakie each with a pitcher of 'Stawberry Daiquiri' for me (basically lemonade with a bit of rum, let's face it), and a pint for him. Daily calories consumed, we headed down to Earlham Park. It was flipping cold, but by the time we got into the park the sun popped out - weeee! 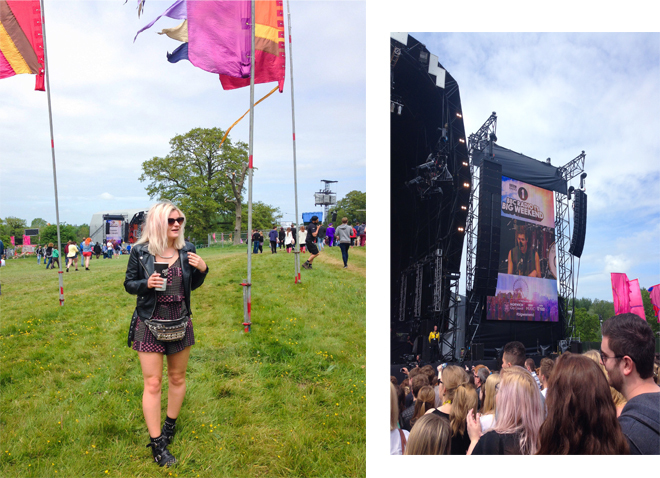 We watched all kinds of performers - from 5SOS to Snoop and David Guetta (wahey!) and had an awesome time whilst drinking pints of cider in the sun (I think it was Carling cider, and it was actually pretty vile...!). What topped it all off was an incredible hog roast, which I scoffed.. hence no picture!